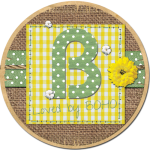 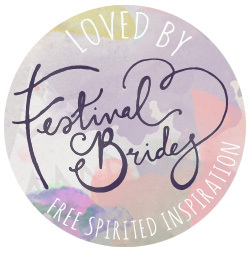 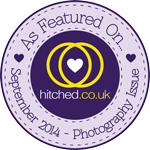 Wedding Photography to Love by Rebecca Tovey: The end of uni! 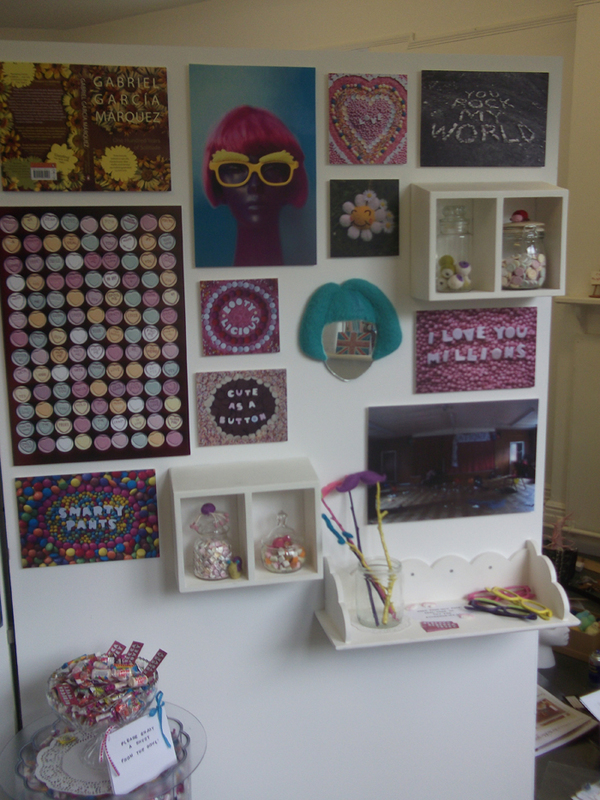 Thought it was about time I posted some photos of my final show! 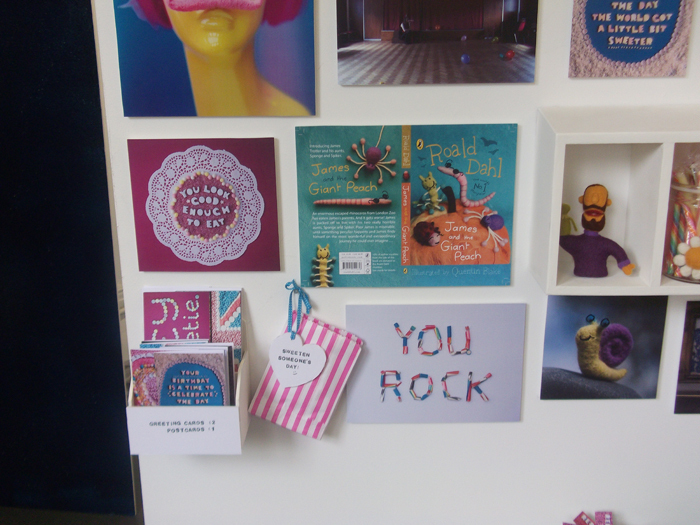 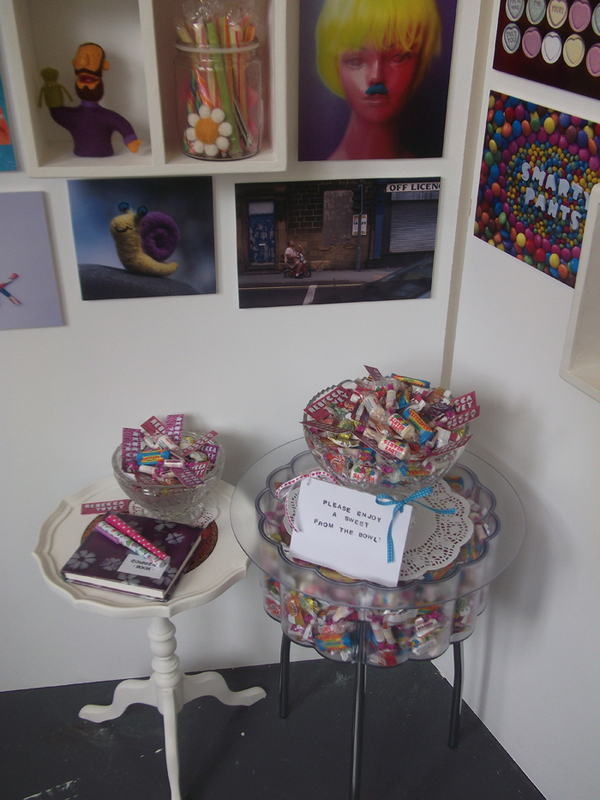 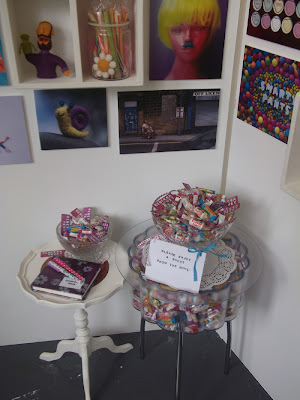 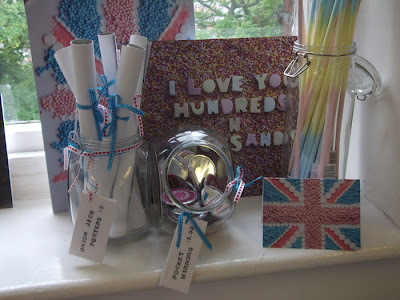 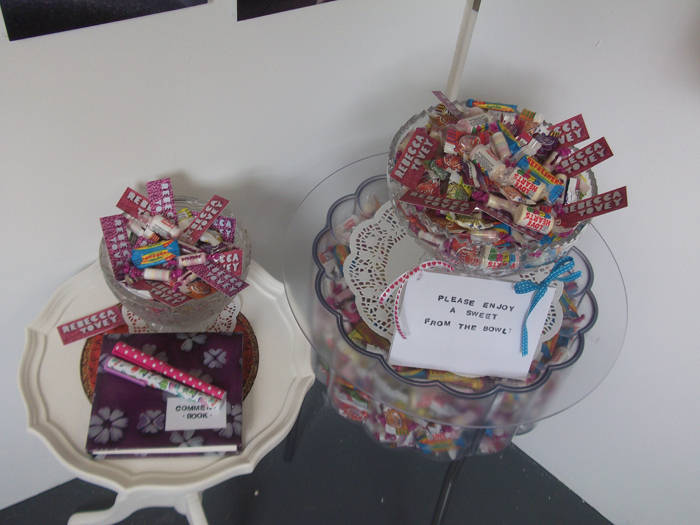 Corner of my show has lots of sweeties and business cards! Close up of right hand board, including mirror for interaction and felted eyeballs. More of the right hand board, showing the interactive element. 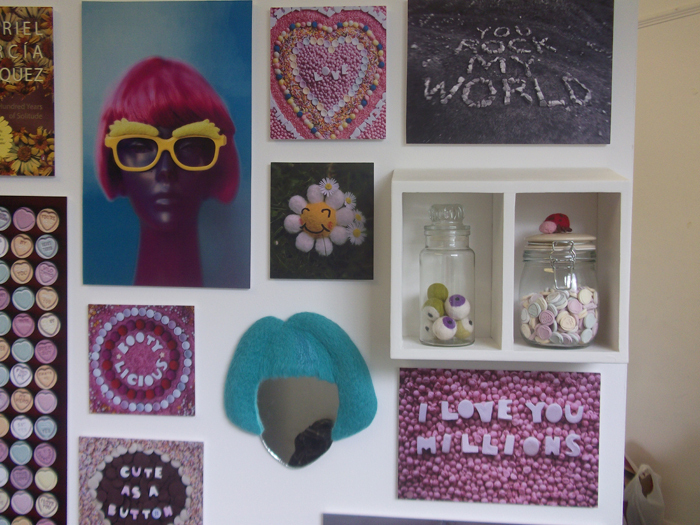 Close up of "make your own face" area. 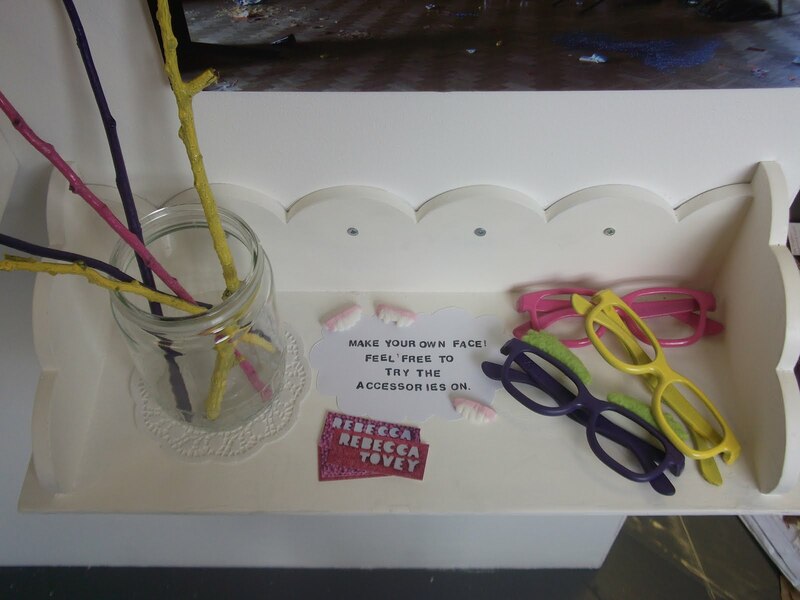 Visitors were encouraged to try on the facial accessories that I made out of felt. 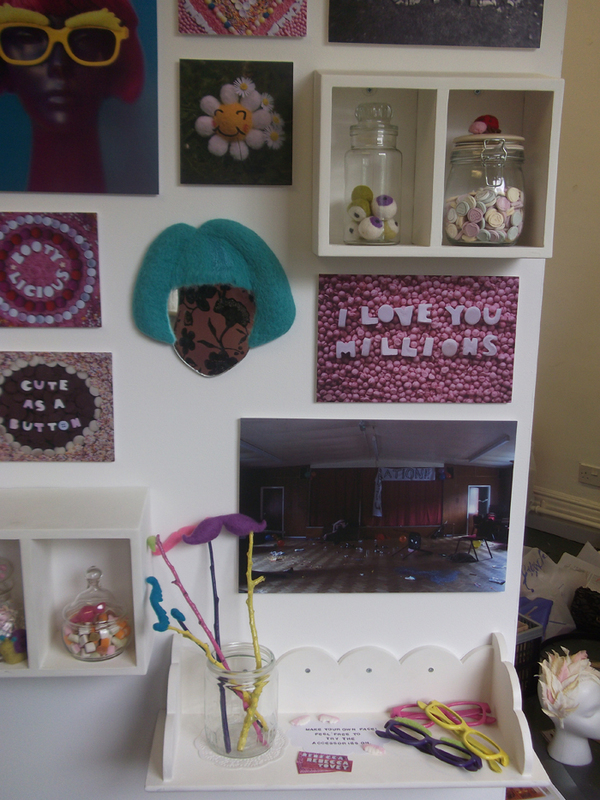 View of the windowsill area that I used to create an environment for my show. 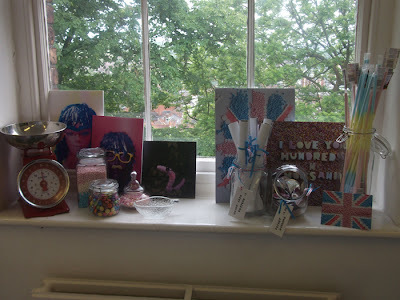 Close up of windowsill including mirrors and posters for sale. 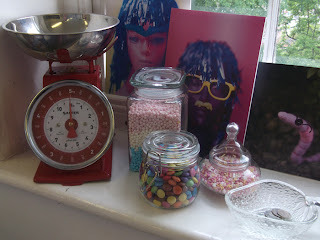 Close up of windowsill. I'm glad to say the little money jar got filled quite nicely with people buying bits and bobs. This is the last thing I will ever have done at uni and the thought terrifies me! 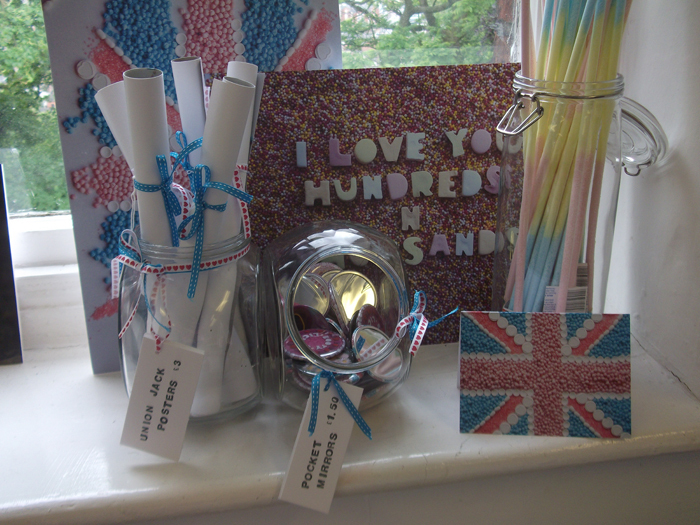 Nervously awaiting the results in July.